Description Some may refer to this game as cuberunner or cubefield, or perhaps even the game where you avoid squares while you play as a funky triangle shape.. Either way the game is the same and boy is it very original and extremely addicting. 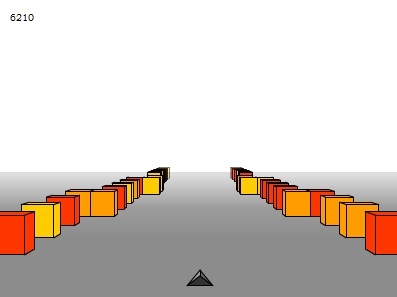 Just avoid the blocks and you make some pretty funky turns, it gets harder, just hang in there to get the high score. Controls Arrows to fly and avoid. Extremely addictive primitive 3D game. Nice!